6. 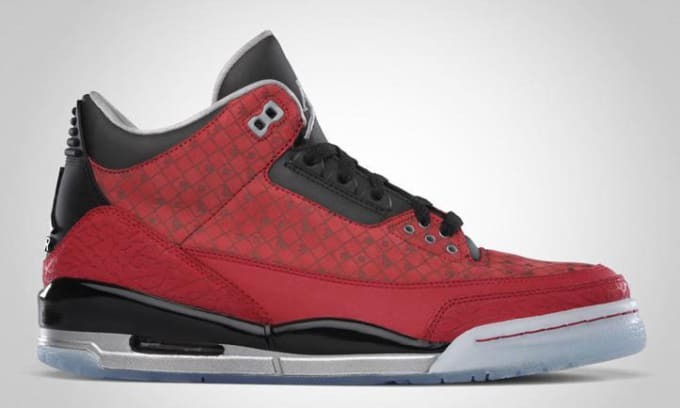 Air Jordan III "Doernbecher"
Complex says: Created as part of Nike's "Doernbecher Freestyle" program by Cole Johanson, the 2010 drop represented a whole new take on the "Bred" colorway. Tonal red elephant print and a clear outsole separated them from the pack and breathed new life into the 22-year-old silhouette.